......Newlands primary school photo 1958. The teacher was Mr Goodwin, I wasn't in this class but had Mr Goodwin as a teacher earlier. Hello there, I have seen that you have posted pictures from Glasgow elementary schools in the 50s, and I recognise my father in two of them if you would like to add them, though I realise this page is very old. 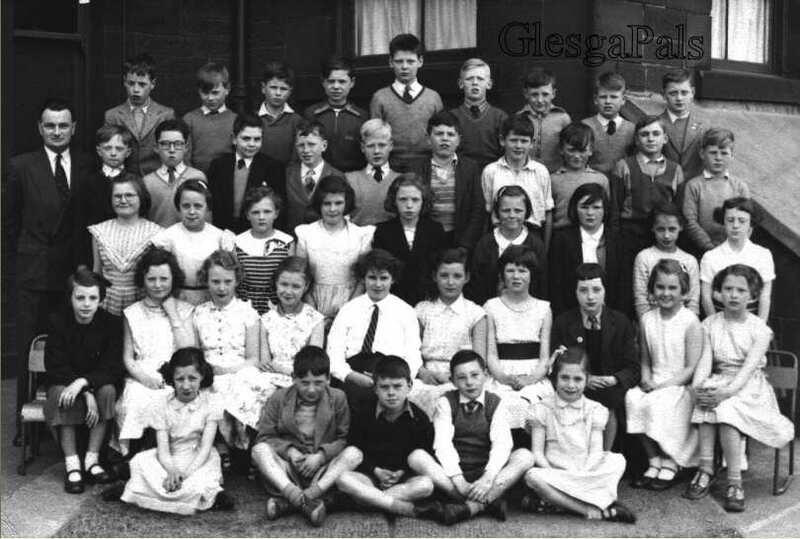 In the Newlands School 1958 he is again fifth from right (the tallest of the bunch!) His name is Grant Laing. He passed away in 2013. Thanks for providing these photos! These are some of the only ones we have of him. Hi Webmaister , I came across a school photo tonight that I'm in. It's The Newlands primary one years 57-58. I'm in second row from bottom No1. My name is then was Sheena Pollock. I recognise so many of the faces but can't put any names to them yet. Sorry about that. I'm So glad at finding this as it's only the second pic I have as a kid as we had a housefire that many pics were destroyed. The other pic I came across was on Newlands school blog. I LOVE both sites and have a wee swatch regular. Donations gratefully received towards the running costs.